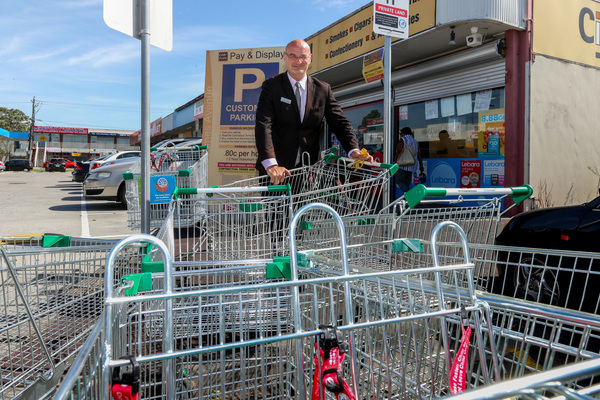 A Greater Dandenong Councillor has declared a war on trolleys. Cr Sean O’Reilly’s frustration with dumped shopping trolleys hit breaking point on his walk home from the Springvale Lunar New Year Festival on Sunday 11 February. He told the Monday 12 February council meeting that he encountered three of the abandoned carts in the short journey. Cr O’Reilly said Springvale was becoming a “shopping trolley wasteland” and suggested a new local law could be the solution. “I think this council should get hard line,” he said. He suggested an impound fee and fines might compel supermarkets to introduce a token-for-use system. Neighbouring City of Casey has a by-law requiring supermarkets to only provide shopping trolleys with coin or token mechanisms. City planning, design and amenity director Jody Bosman said the council already put notices on abandoned trolleys and contacted the relevant supermarket chain for collection. They have 24 hours to pick them up, he said, or they face a $50 fine plus an $80 impound fee. “We’ve had a noticeable problem in Springvale in recent weeks, with Safeway in particular,” Mr Bosman said. He said the council had spoken with the store manager and they’d indicated problems with their contractor. Mr Bosman said the council had set a deadline of Friday 9 February for the store to rectify the issue. “Enforcement action will commence if necessary,” he said. Cr Jim Memeti said he’d heard similar complaints about abandoned carts at Keysborough’s Parkmore Shopping Centre. He said Dandenong Plaza used tokens for its shopping carts and didn’t have the same issues. “I think we need to replicate it in Parkmore and Springvale,” he said.